Father’s Day is just around the corner and it’s all about spoiling our fathers or father figure in our lives. It’s often difficult to choose the perfect gift for them but how about spending the day, week or month at one of Cape Country Routes’ (CCR) accommodations? Cape Country Routes’ (CCR) offer a number of accommodations at activity destinations; all located along South Africa’s popular road travel routes. With the whole family tagging along, they have exciting offers to make the month of June one to remember. Situated halfway between Cape Town and Johannesburg within the newly proclaimed Karoo Gariep Nature Reserve, it’s a great road-trip place to visit. If you simply staying over for the night or doing a quick pit stop, make sure to book their Guest Farm’s sumptuous three-course buffet dinner prepared by the national winner of the popular Gauteng cooking competition, Queen of the Kitchen. Thrown in is a complimentary sunset drive to the Nature Reserve’s Hippo Pool, served with a glass of bubbly to celebrate the day well-spent. About 7km outside Oudtshoorn, De Zeekoe Guest Farm offers fantastic winter specials for families who simply are in need of a break. On Fathers Day (17 June), dads whose already staying at the Guest Farm will get treated to a free 30-minute massage as a treat. From May to July 2018, visitors can enjoy great discounted offers per person a night. Until end September, you can stay for three nights and only pay for two. If your father is one to wake up before the sun does, why not check him in for a unique Wild Meerkat Adventure Tour. The tour nears the meerkat burrows where guests are treated to a hot cup of coffee and issued with a lightweight aluminum chair to observe the meerkats as they come out into the sunshine, and then go about their routine of foraging and frolicking. Perfectly perched against the Paarl Mountains which overlooks the town’s beautiful vineyards, D’Olyfboom Family Estate comes highly recommended. The CRC members is celebrating Fatherhood with a new art exhibition, aptly named I Found a Father, by Wellington artist and photographer, Hennie van Loggerenberg. Loggerenberg nominated Mosaic, a community project that provides orphan care, as one of the beneficiaries of the event that will be hosted on Sunday, 17 June from 17h30. Entry is R100 per person (includes a welcome drink, soup, home-baked bread and a donation). RSVP to info@dolyfboom.co.za or call on 021 870 1080 on/before 10 June to book your seat. Will you be surprising your father or father figure with a trip he definitely won’t stop talking about? For more information, lunch reservations and weekend bookings, visit www.capecountryroutes.com, and don’t forget to follow Cape Country Route on Facebook and Twitter #CapeCountryRoutes for more specials. DISCLAIMER: The information and images were supplied. 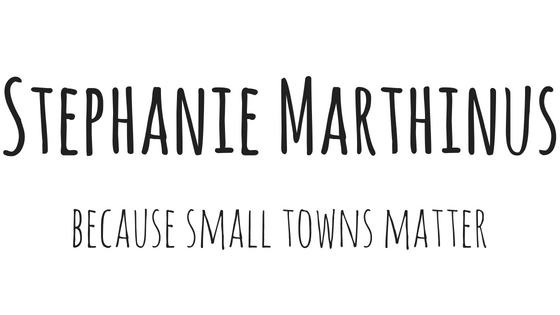 It was Stephanie Marthinus Blog decision whether to use the content supplied. The post is not sponsored and received no remuneration for publishing it. It’s written in good faith and will not be liable for any losses and/or damages in connection with the use of our website.